GERMANTOWN, Md., Sept. 18, 2017 /PRNewswire/ -- Beeper Communications, Israel, Safety Dynamics, Inc. and Mantaro Networks, Inc. have entered into a definitive Letter Of Intent to form a Strategic Technology Alliance to develop, deploy and integrate gunshot detection and video monitoring, with leading-edge wireless communications in order to best serve police, first responders, public safety and critical infrastructure customers. 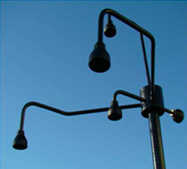 Currently, the Companies provide advanced communications and sensory platforms to municipalities and cities across the United States, as well as in Latin America, the EU and Israel. They collectively serve allied military, homeland security and Law Enforcement Agencies (LEA), as well as critical infrastructure and electric, gas and other utility concerns globally. Safety Dynamics is an industry pioneer specializing in gunshot detection, camera and acoustic surveillance and other analytical sensory technology and warning systems. Beeper possesses vast experience with these technologies in Israel, and specializes in the development and manufacturing of advanced wireless channel bonding technology, for the wireless broadband communication market. Beeper is ranked as an "excellent supplier" by the Ministry of Defense. Mantaro provides similar systems through their UGVs, to Law Enforcement Agencies in the United States. 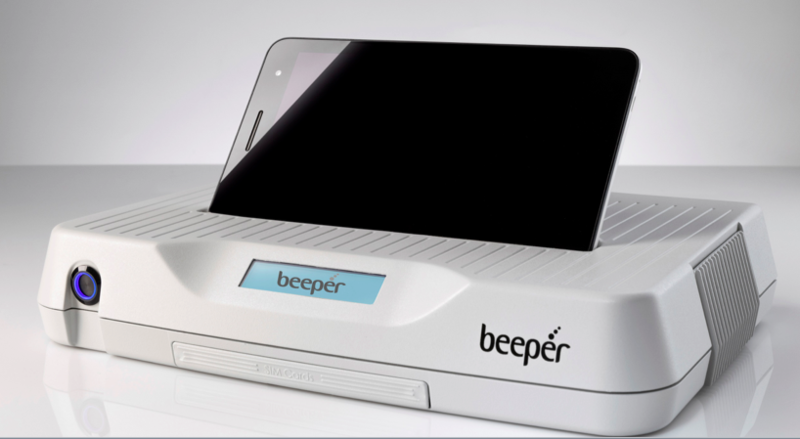 Of the core technologies at the heart of this integration, Beeper's IE 5000 cellular bonder is the leading anywhere-to-everywhere wireless connectivity facilitator. 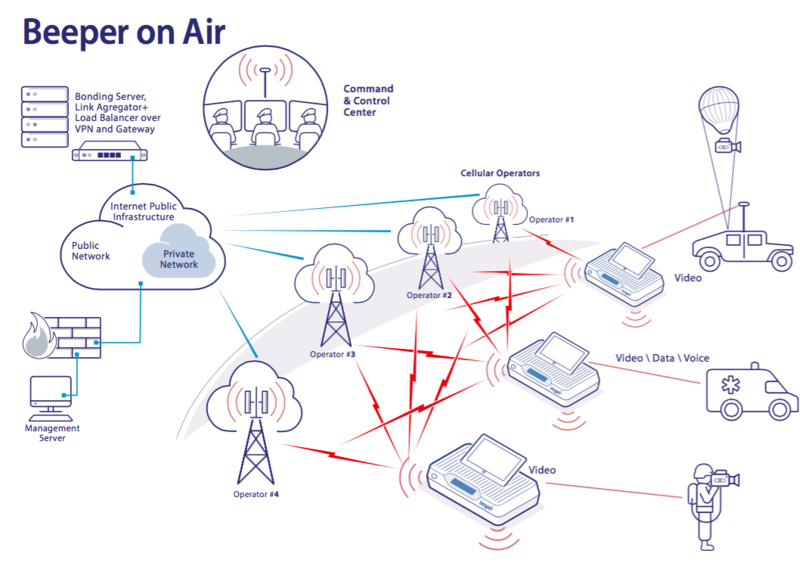 It aggregates and bonds up to four cellular channels, WiFi, and satellite frequencies. The integration of Beeper's SD WAN cellular bonding and communications system will significantly increase the security and reliability of the mission-critical Safety Dynamics SENTRI™ product line for early warning, gunshot detection, smart fence, ground and virtual, and anomaly detection solutions. The Beeper Communications platform will secure and enhance the transmission of video and data under the most challenging of conditions for public safety and critical infrastructure concerns. Mantaro Networks, through a pre-existing partnership with Beeper, will provide best in class engineering services for the project, and act as engineering and technology integrator. Mantaro already sells and supports the Beeper and Safety Dynamics technology in the U.S., and will also incorporate enhanced automatic testing and emulation software, further improving upon the existing system's maintenance, monitoring and control capabilities. Independently, the three companies already provide proven commercial, and R&D products and solutions to allied military & government agencies and critical infrastructure customers. Collectively, they have received tens of millions of dollars in development funding for mission-critical technology solutions. "This technology partnership will speed the delivery of a newest portable/mobile version of the SENTRI gunshot detection systems that will now be enabled through the Beeper SD WAN wireless platform. The growing gun violence in our major cities, and events like the shootings in Alexandria this spring, the multiple and unpredictable attacks that continue in the EU and elsewhere only point out the need for cities and their public safety personnel to have access to advanced technology, that is not only affordable, but also portable and flexible enough to be deployed and useful before events happen. A portable version of the system will be an ideal line of defense and early alert," states Sally Fernandez, CEO Safety Dynamics. "This partnership with Safety Dynamics is a natural extension of Beeper's experience into the U.S. markets for Public Safety. Our work with these kinds of complex systems and our proven track record meeting customer needs is crucial to success. Mantaro remains the ideal engineering partner with vast experience in telecommunications technology development and will integrate these various platforms. I am sure that this technology alliance will help all of us serve our customers, and the public even better," – Moshe Levinson, SVP Business Development and Special Situations, Beeper Israel. The Companies have begun their first joint engineering for four initial U.S. city projects in the Northeast and Midwestern U.S., with first deliveries scheduled for October of 2017.